Nowadays, you don’t need a fancy education to get ahead in life. Thanks to the internet, quality learning can be achieved through self-education online – and even help you score a great job in web development where skills and experience trump a college degree. There’s a lot of money to be made in online courses. In 2011, about $35.6 billion was spent on self-paced e-learning worldwide. In 2014, that figure jumped to $56.2 billion and then $107 billion in 2015. By 2025, it’s projected to hit $325 billion. That’s a lot of earning potential if you have expertise to share with the world. Platforms such as Udemy, Lynda.com, and Treehouse can quickly get you set up teaching online. Udemy, for example, offers 55,000 courses on everything from web development and business to algebra and conversational Japanese. Millions of students and instructors use the platform, which has become the world’s largest online learning marketplace. The catch? When you sign up as a course instructor you have to play by their rules – and that means giving them a cut of your earnings. This is why many course creators choose to go down the self-hosted route and launch courses using their own WordPress site. With a good quality learning management system (LMS) plugin, any website can be transformed into an online classroom. In this article, I’ll walk you through what you need to consider when choosing an LMS plugin and then focus on the six most popular options available to help you decide which plugin would best suit your needs. What kind of course do you want to create? Do you want to teach a single course with one unit? A course with multiple units and multiple lessons? Multiple multi-tier courses? What’s your budget? Yes, there will be costs involved – good quality LMS plugins require online fees for licenses, updates and support. What kind of site do you want to create? A simple online course? Integrate courses into an existing site? Create a marketplace for courses? What kinds of features do you need? Dripped content, quizzes, assignments, certificates, prerequisites, payment gateways, and email notifications are just a few features you should look out for in a quality LMS plugin. LearnDash is a powerful premium LMS used by the likes of Infusionsoft, WPElevation, and the University of Michigan. This plugin is feature-packed. You can create multi-tier courses, which include lessons, topics, advanced quizzes, and categories. Content can be dripped so you can set the pace for student learning. Lessons can be timed so you can set the minimum amount of time a student must spend per lesson, ensuring it’s less likely they will simply click through your content and instead take the time to digest it. There’s a powerful admin panel, ProPanel, if you choose to pay the extra fees required to access it. But even if you don’t, the basic admin features available are powerful enough. There’s robust student and assignment management, email notifications, public and private forums, grade books for sync with quizzes, assignments and manual grading, details reporting and analytics, plus gamification – you can award course points, badges, and certificates. If you want to sell your courses, LearnDash integrates with WooCommerce for one-time course payments, subscriptions, memberships, and course bundles. You can even create a course marketplace like Udemy. There are multiple payment gateways available, including PayPal and Stripe. Other features worth mentioning: You can use any kind of media, including video and audio, it’s compatible with Multisite, and looks fantastic on mobile. Price: Starts at $139 for a single site license with 1 year of support and updates. Pros: Feature-rich, easy to use, flexible and offers lots of integrations with third-party plugins. Cons: Maybe the price? Though compared to other LMS plugins LearnDash is affordable for what it offers. Bottomline: LearnDash is a powerful and easy-to-set up option that offers a comprehensive set of features. 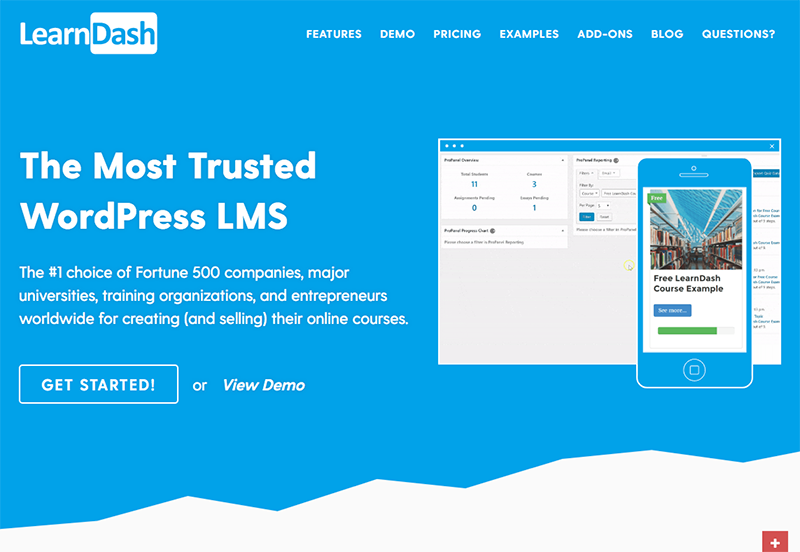 If you’re serious about selling courses online, LearnDash has everything you need and more. WP Courseware is a popular LMS plugin used by the University of Kentucky, Emory University and Miami University. 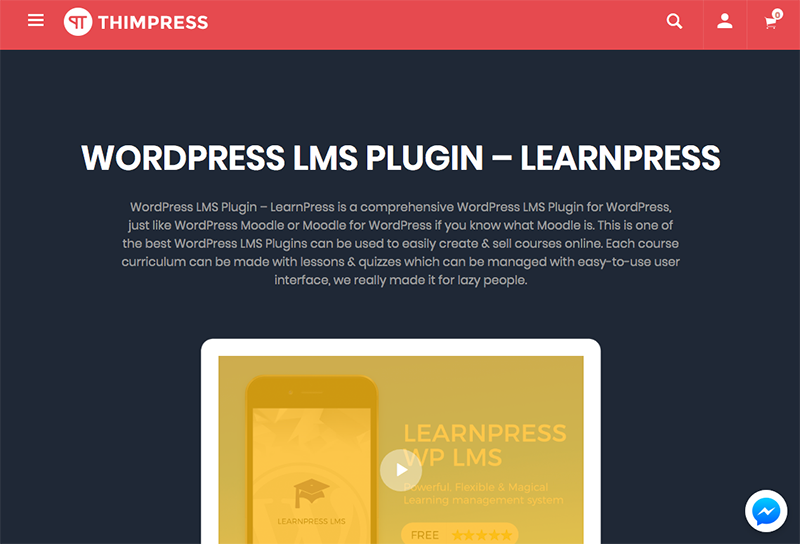 Unlike most other LMS plugin options for WordPress, this one lets you create courses using drag and drop. You can create classes comprised of as many modules and quizzes are you want, which you can easily re-order. There’s also the ability to drip-feed so you can schedule content to be released by date or at specific periodic intervals. A nice feature of this particular plugin is the ability to convert existing WordPress posts and pages into course units. you can also set course prerequisites so that students are required to complete one of your courses before accessing other courses. Quizzes are a major feature of this LMS plugin and they’re fun to set up. There’s a ton of options you can incorporate into your quizzes, including multiple question types, timed quizzes, randomized questions and answers, downloadable results, and there’s also the ability to set passing scores and retake limits. WP Courseware is fully compatible with WooCommerce, Easy Digital Downloads, and lots of other popular plugins and apps so you can easily sell your courses. Other notable features include gradebooks that detail students results and progress, advanced student management, course certificates, customizable email notifications and instructor roles. Price: Starts at $99 for a two-site license with 1 year of support and updates. Cons: Lack of built-in support for accepting payments. Bottomline: WP Courseware is a solid option for creating and selling courses online. The drag and drop feature makes it incredibly easily to set up courses. There’s no built-in support for accepting payments and beginners will find it tricky setting up an eCommerce solution. 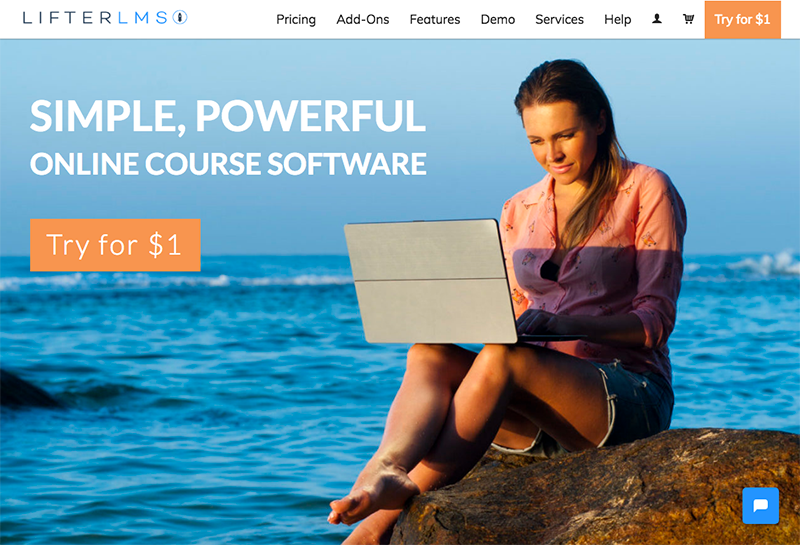 LifterLMS is a powerful free LMS plugin that’s easy to set up and offers a great selection of premium addons allowing you to sell and market your courses and integrate popular apps. The intuitive drag and drop course builder lets you create multi-tier courses with modules, lessons and categories, providing the flexibility to create small courses or more complex media-rich training programs. There’s also dripped content and course prerequisites. Courses can be made up of a variety of different multimedia types so you can appeal to different learning styles, including video, audio, text and image-based lessons. You can also create dynamic quizzes to assess student learning and set a maximum time limit for quizzes. Lessons can be downloaded as worksheets, ebooks, PDFs, audio and other file formats for offline learning. Students can keep track of their progress via their front-end profiles. Multiple instructors can be added to courses and even teach in teams. Other student-focused features include discussion forums, private coaching, certificates and achievements. LifterLMS can accept student fees with PayPal and Stripe as one-time payments, subscriptions and recurring payments. It also has the ability to offer course bundles. Price: Individual addons for $99 each for a single site or Universal Plan for $299 for a single site. Pros: Powerful, flexible and the set up wizard helps you get started quickly. Cons: Expensive and the cost adds up if you choose to buy addons. Bottomline: LifterLMS is a hugely flexible online learning plugin that can be easily extended with premium addons. The setup wizard helps you get started with a demo course so you can start setting up your first course in minutes. Sensei is a premium LMS plugin created by the folks behind WooCommerce. With Sensei, you can create courses and lessons, add quizzes, set prerequisites, allow user registration and charge for your course content. Using this LMS plugin is as straightforward as creating a WordPress post or page – Sensei uses its own custom post types to power lessons. It includes dripped content so you can set the page at which students learn. Students can access a dashboard to track their course progress and share their grades on social media. Quizzes can be graded automatically, or you can choose to manually grade questions that need to be reviewed by a course instructor. 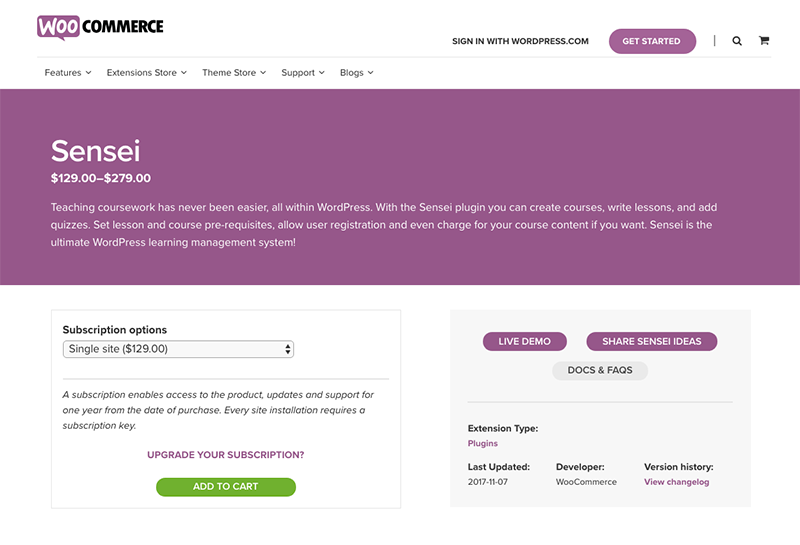 Sensei seamlessly integrates with WooCommerce, allowing you to charge for courses. Course analytics are also available, with powerful reporting features that give you an overview of your content, grades, and students registered with the site. Other great features include badges and achievement, question banks, and quick user registration via WordPress user roles. Price: Starts at $129 for a single site license with 1 year of support and updates. Pros: Integrates easily with WooCommerce for selling course content. Cons: WooCommerce integration can be hard for beginners. Bottomline: Sensei is a powerful and flexible LMS option that easily integrates with WooCommerce for selling online courses. While there are fewer features compared to other LMS plugins, Sensei is easy to set up. LearnPress is a free option with powerful features that offers all of the functionality you need to set up online courses. Course creation is simple and straightforward, even without a wizard – a common feature of other LMS plugins. Courses comprise of lessons, quizzes, and questions. It supports multiple courses, student enrollment, paid lesson, and comes complete with detailed reporting and analytics tools. There are many free and paid addons you can buy to extend the features, including certificates, dripped content, and multiple instructors. It also supports integration with bbPress, WooCommerce, and WordPress membership plugins. With BuddyPress and bbPress support, you can create discussions forums and communicate with students and instructors. 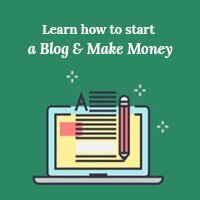 There are multiple eCommerce and payment options available, including WooCommerce, PayPal, and Stripe (via premium addons) so you can sell any courses you create. 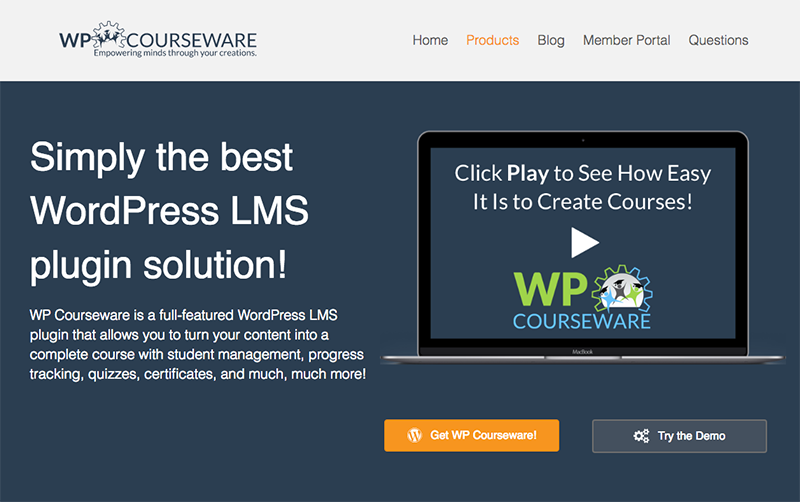 LearnPress also supports WordPress Multisite. Price: Free with addons starting at $29.99. Pros: Feature-packed, flexible and great documentation. Cons: Limited support and more difficult to set up than other options. 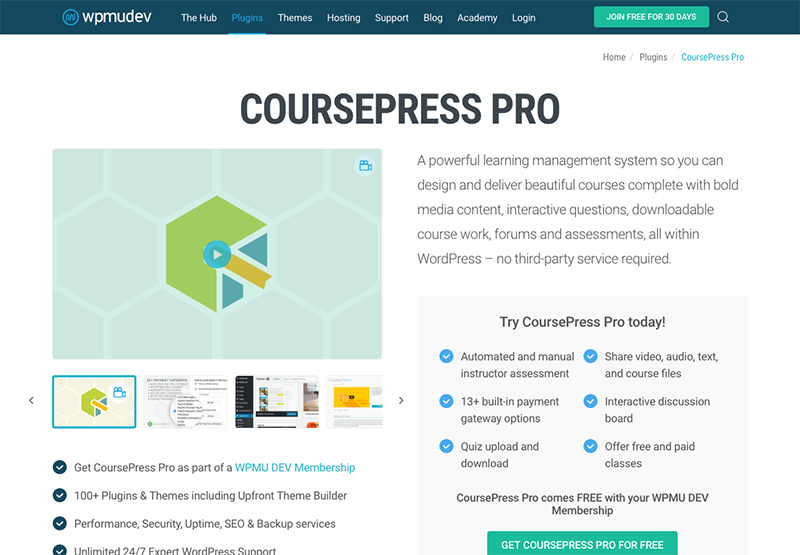 CoursePress Pro is a powerful and polished LMS plugin developed and used by WPMU DEV to power The Academy, its WordPress training platform for members. This LMS lets you create multi-tier courses made up of modules and units. There are no limits to how many courses you can create or how many students can be part of your online school – with CoursePress Pro you can create simple courses with one unit and more complex training courses with multiple modules and units that feature tutorials, video training, quizzes, assignments and forums. Interactive discussion boards help create a sense of community and foster a more robust learning environment. There’s a powerful admin dashboard for managing students, assignments, grade books, and email notifications (which you can use to advertise upcoming courses and remind students about units they have enrolled in). There are plenty of assessment and quiz options for grading students – multi-answer, single choice, long answer, true and false, and file upload. You can also require students to complete each unit quiz with a qualifying grade before they can progress to the next unit. For courses with a large number of students, you can add and invite multiple instructors and course facilitators to assist with course management. CoursePress is also a great option if you’re planning to sell courses since it’s compatible with WooCommerce and MarketPress. Plus, it’s an ideal option for launching courses on a Multisite network. Price: $49 per month as part of a WPMU DEV membership. Cons: It’s expensive since you need to buy a subscription but a WPMU DEV membership offers a ton of value. Bottomline: CoursePress Pro is a feature-rich LMS that you can customize however you like to deliver the courses you need. It can be a little tricky to set up but there’s an impressive and super intuitive update in the works. Watch this space. With so many feature-rich and simple to setup options available in the LMS space, choosing just one isn’t easy. There’s no clear winner in the list above as it all depends on your own needs and the requirements of your courses. If you want a powerful option with a ton of features and don’t mind spending a bit extra, LearnDash has all the features you need and more for premium courses. If you’re budget conscious and don’t require as many features (but would like the option to pay-as-you-go, LifterLMS is a hugely flexible option that can be easily extended with premium addons. We hope this article helped you find the best learning management system for your website. You might also want to check out our comparison of the 6 best membership plugins for WordPress. Have you used any of these LMS plugins? What features do you look for in an LMS solution? Share your thoughts in the comments below! I would love to know your Bottomline advice for LearnPress; what you gave me was the Bottomline advice for Sensei – again.